The data stored in the mobile is very precious. 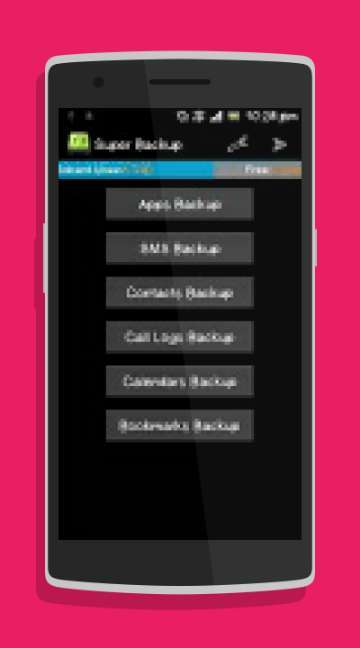 Install Super Backup up android app and save the data. This wonderful app does mind blowing functions and has marvelous features. Save the contact list, sms details, call history and other important data using this fantastic app. This app will silently work and perform various multi tasking activities. The Smartphone generally have very important files and losing these data is dangerous. Install this wonderful app and safeguard the information stored in the mobile.Install this app in the latest mobile and schedule automatic backups. This app is becoming popular and many use this app to preserve their data.